Steel twin screw motor vessel built in 1967 as a passenger and vehicle ferry by A/S Langesund Mekaniske Verksted, Langesund, Norway (Yard No 55) for Stena Ab, Göthenberg. 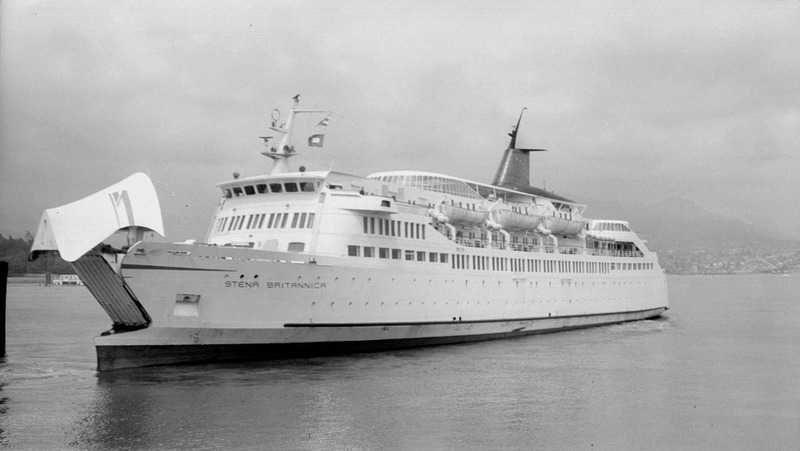 December 18th 1966: Delivered to Stena Ab, Göteborg. 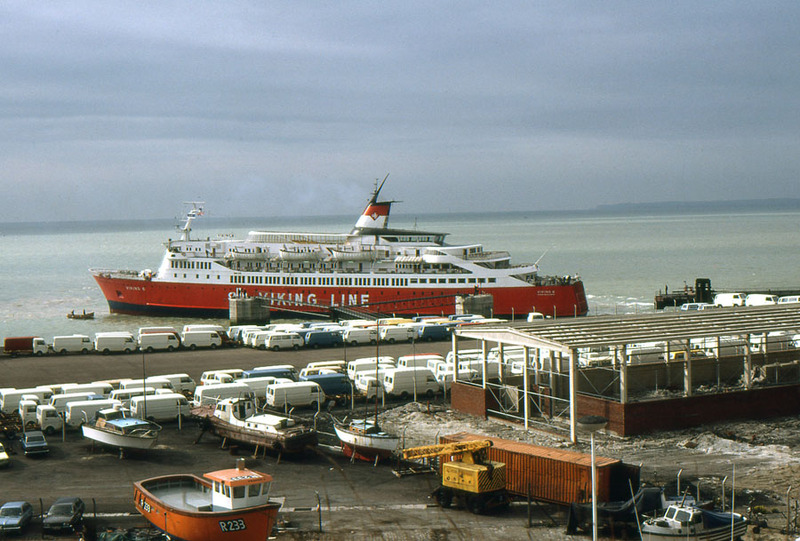 December 20th 1967: Introduced between Göteborg – Frederikshavn. April 1968: Sold to State of Alaska (Dept. of Public Works), USA. (Registered to Marine Highway System Inc, Panama) for $6,960,000.00 . May 7th 1968: Left Gothenburg. 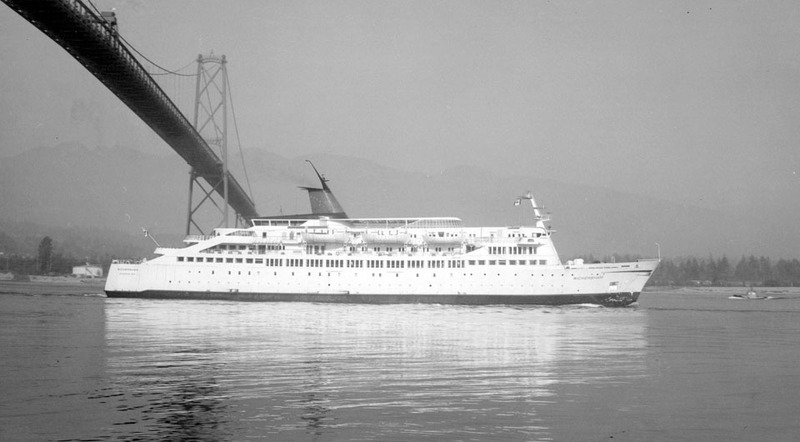 June 7th 1968: Arrived in Vancouver. 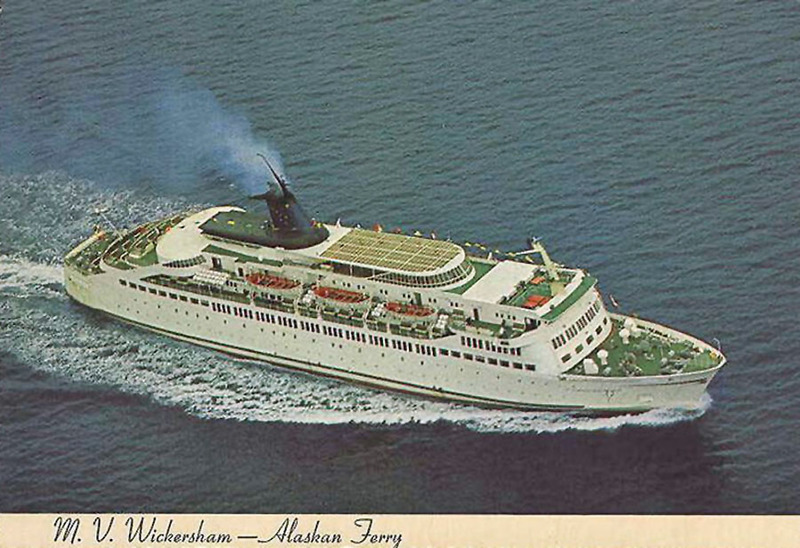 June 13th 1968: Converted and renamed WICKERSHAM. 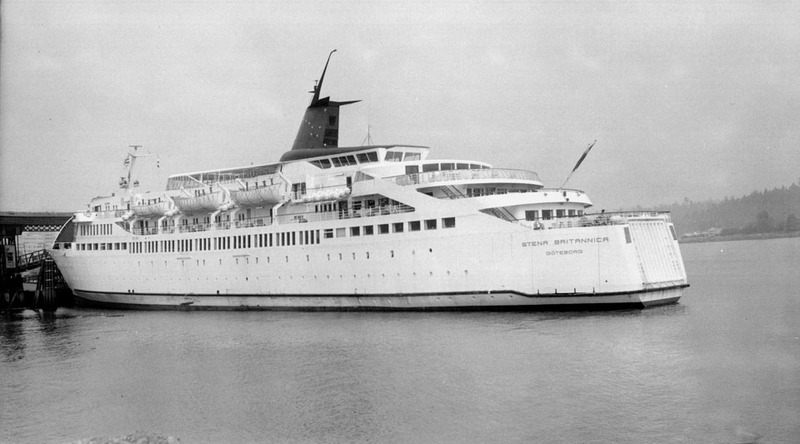 She operated an express schedule between Prince Rupert and Haines, with passenger only” stops at Ketchikan and Juneau. 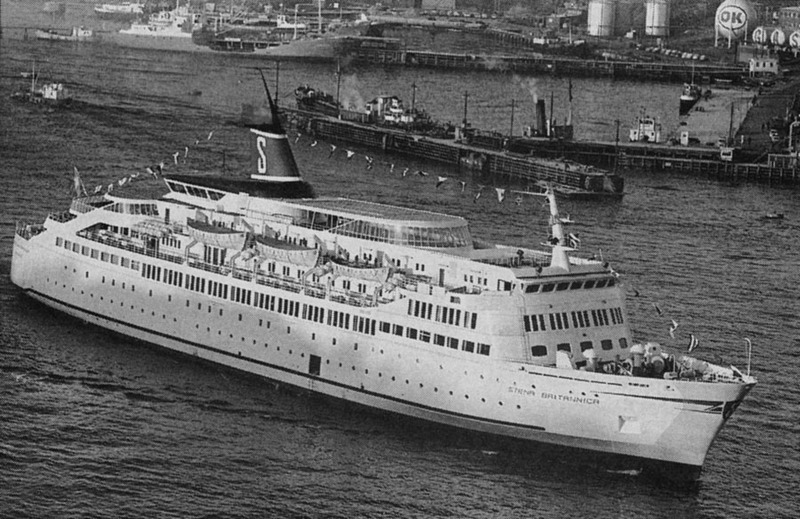 The AMHS wanted to keep her in service but, as she wasn’t built in the States, she had to retain a flag of convenience which didn’t suit the American system resulting in her sale. October 15th 1973: Reportedly sold to S.O.L. Lines of Rotterdam, a Dutch firm, however, payments were not received. 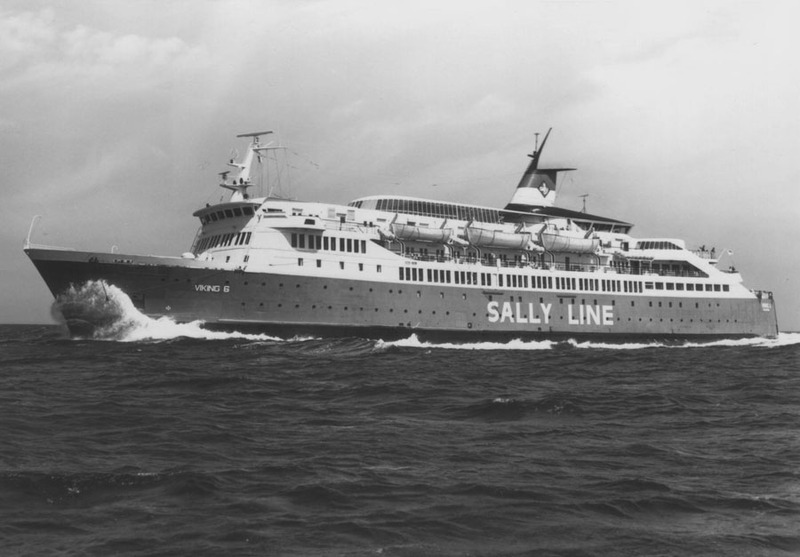 June 2nd 1974: Sold to Rederi Ab Sally, Mariehamn, Finland. Manager; Algot Johansson. Renamed VIKING 6. June 14th 1974: Left Seattle for Finland. 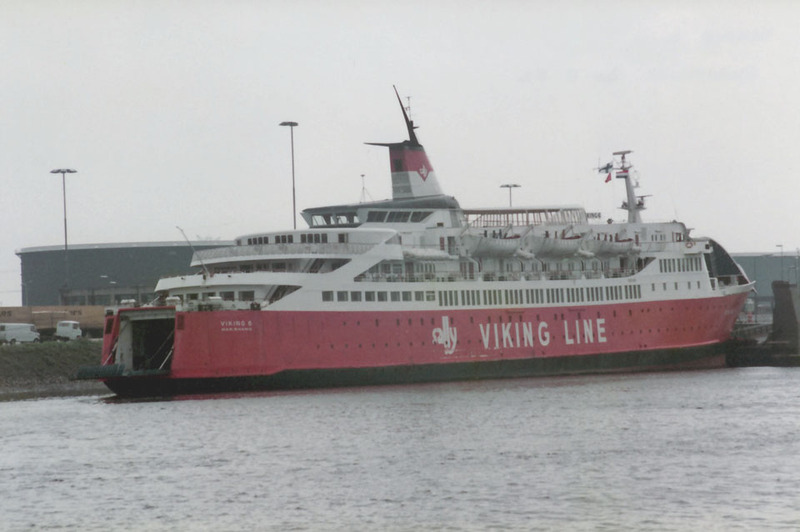 July 16th 1974: Introduced by Viking Lines services between Stockholm – Helsingfors. 1975: Her forward cafeteria was altered to cabins. 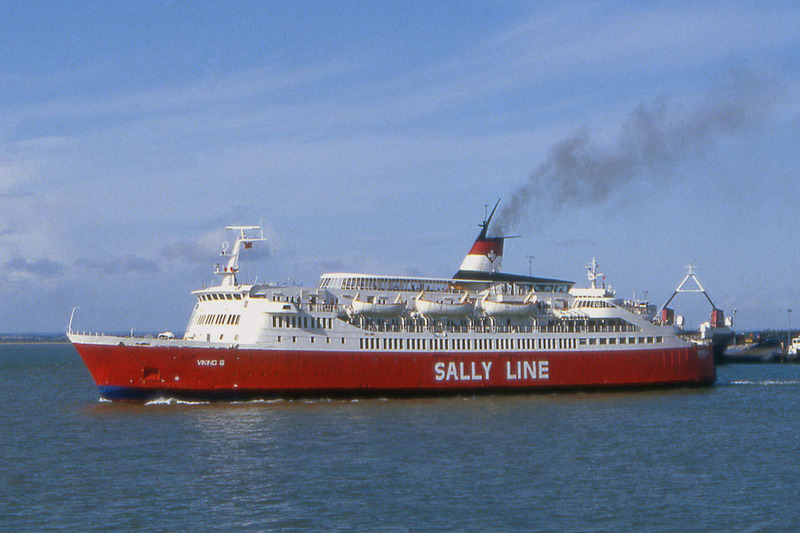 1980: Entered service between Kapellskär – Mariehamn – Nådendal. 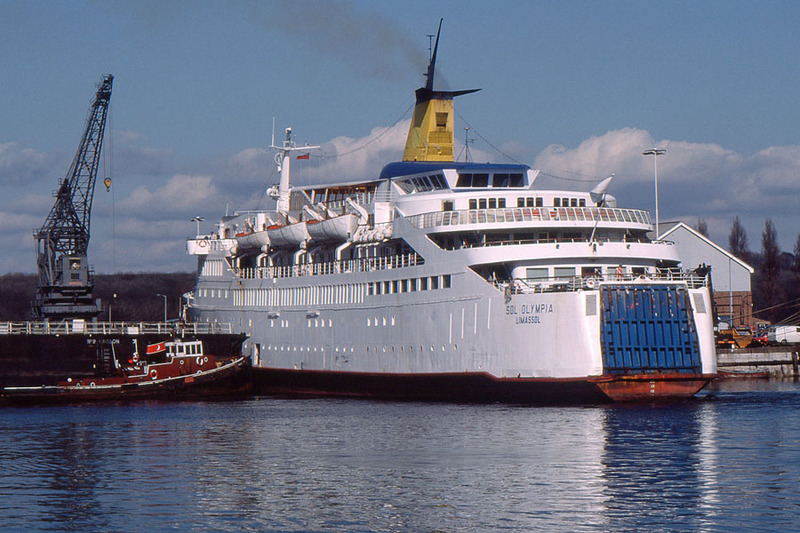 May 1980: Service between Stockholm – Helsingfors. 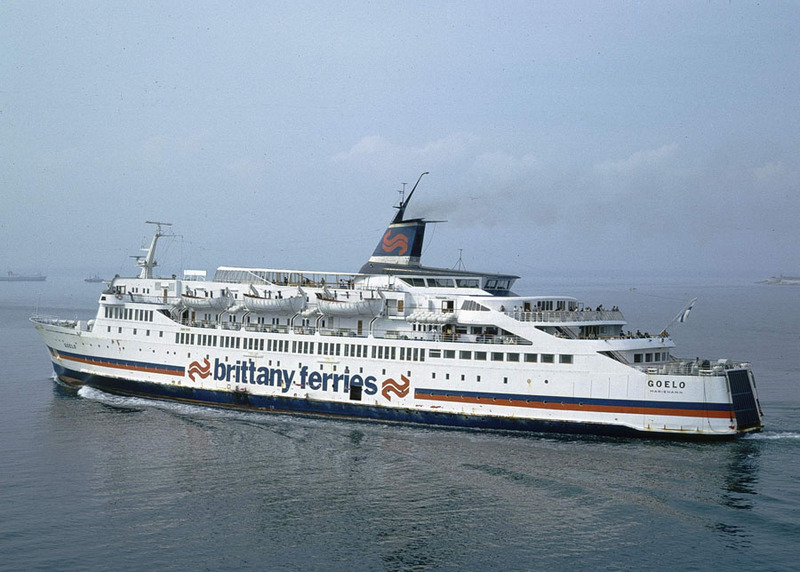 June 2nd 1980: Chartered to Brittany Ferries, Morlaix, France and renamed GOELO. 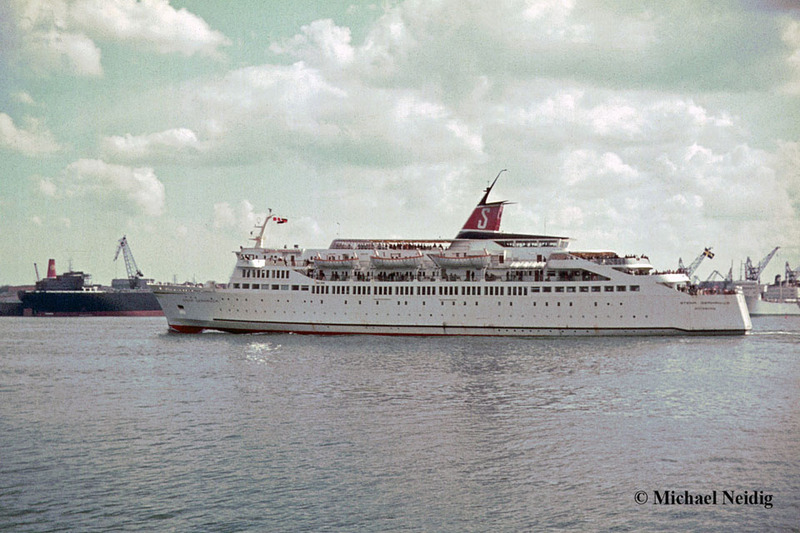 June 4th 1980: Left Stockholm/Finnboda for St Malo. 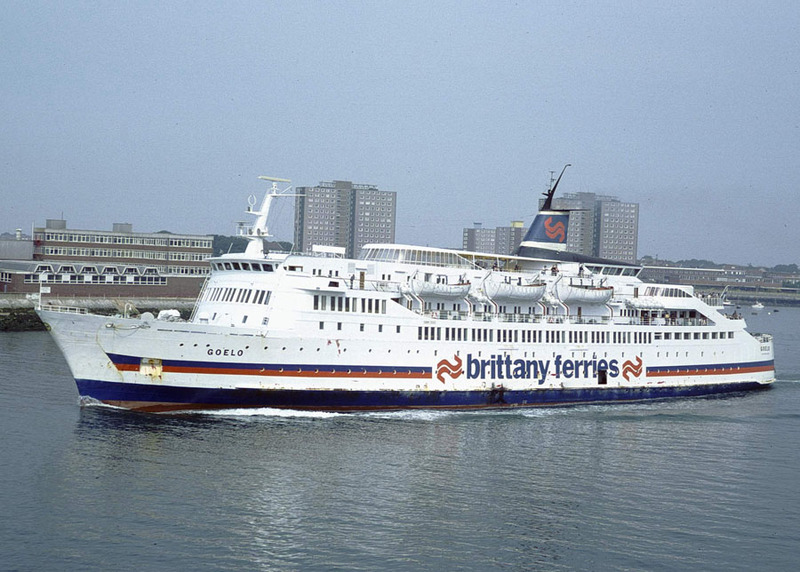 June 1980: Entered service between St Malo – Portsmouth. 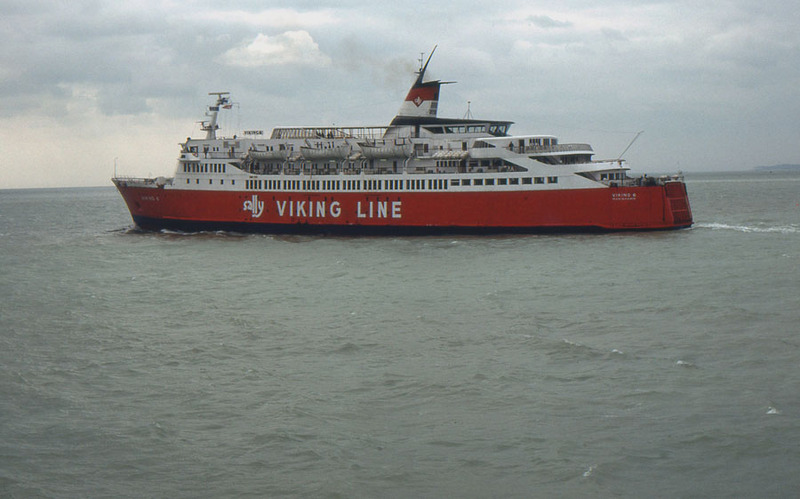 May 1st 1982 – May 20th 1982: Renamed VIKING 6 after the completion of her charter and entered service for Sally Line between Ramsgate – Dunkerque. 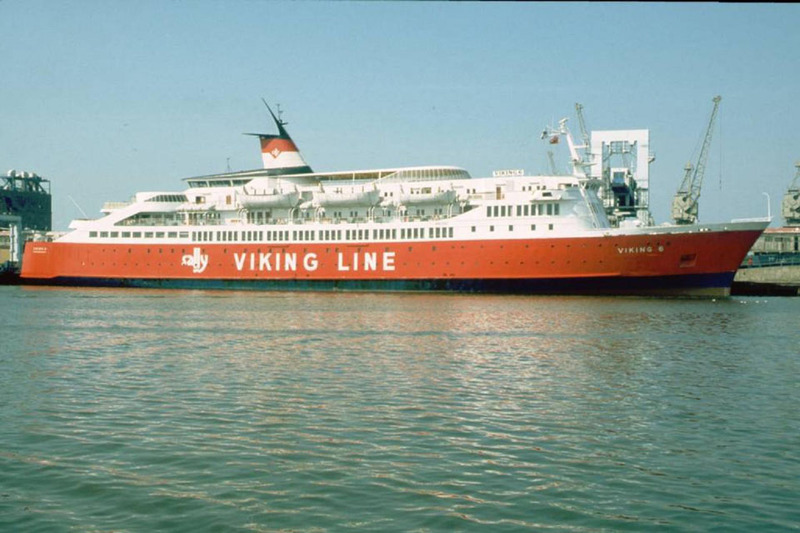 May 24th 1982 – November 25th 1982: Chartered to North Sea Ferries B.V., Rozenburg for services between Rotterdam – Hull. November 28th 1982 – December 12th 1982: Chartered to Juelsminde-Kalundborg Linien, Juelsminde, Denmark and operated between Juelsminde – Kalundborg. 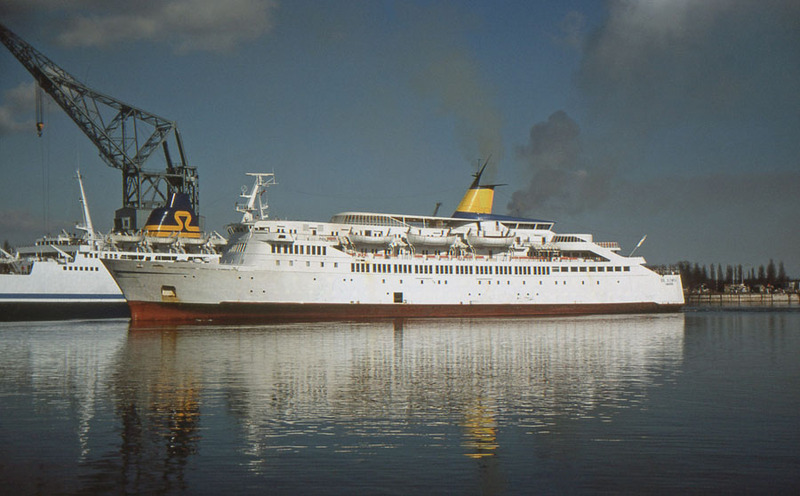 December 1982: Sold to Takis Solomonidis (Sol Lines), Limassol, Cyprus. 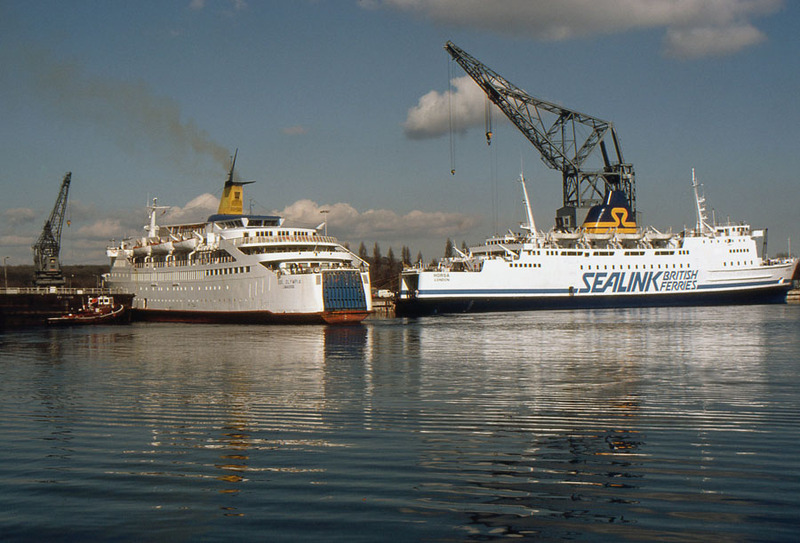 December 22nd 1982: Renamed SOL OLYMPIA. Registered to Arena Shipping Co, Ltd, (Sol Lines), Limassol, Cyprus. Manager: Sol Island Navigation Co.Ltd. 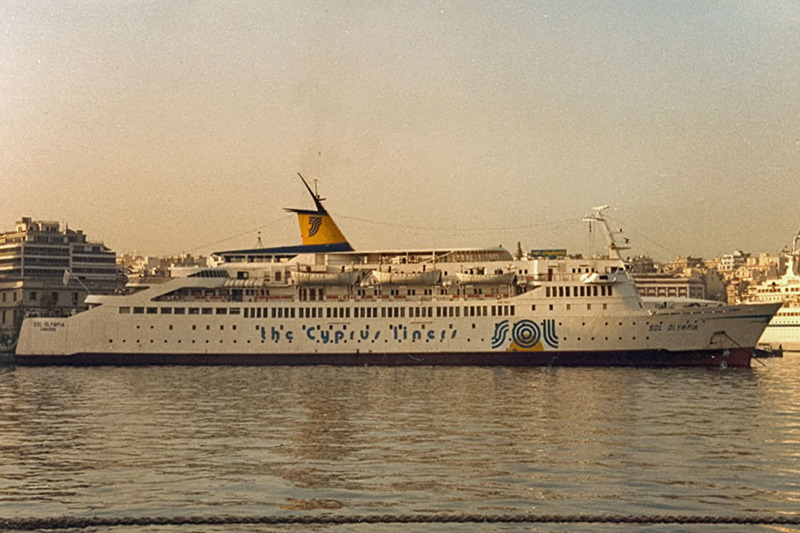 April 1st 1983: Entered service between Haifa – Limassol – Rodos – Piraeus, later being extended to Venice. 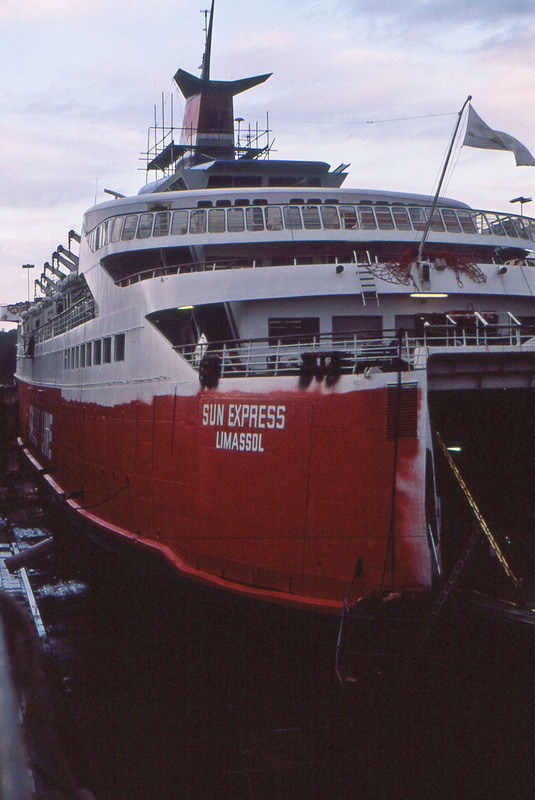 February 21st 1985: To be renamed SUN EXPRESS. 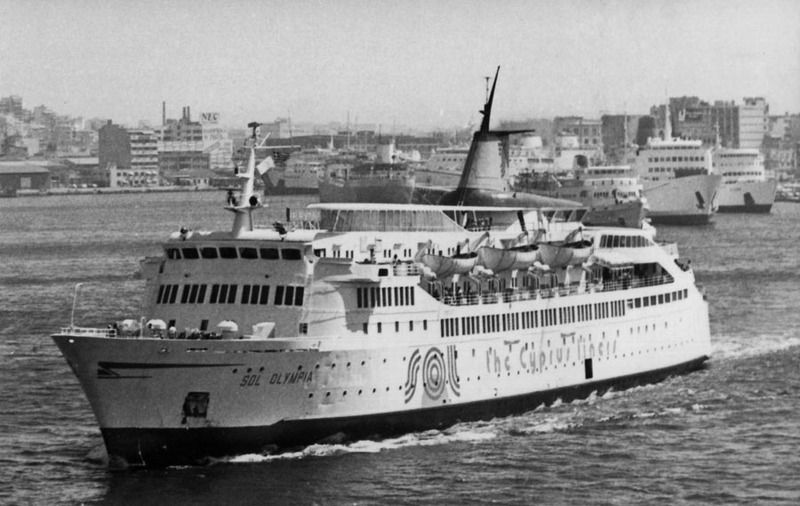 March 5th 1985: Left Limassol for Chatham (UK). 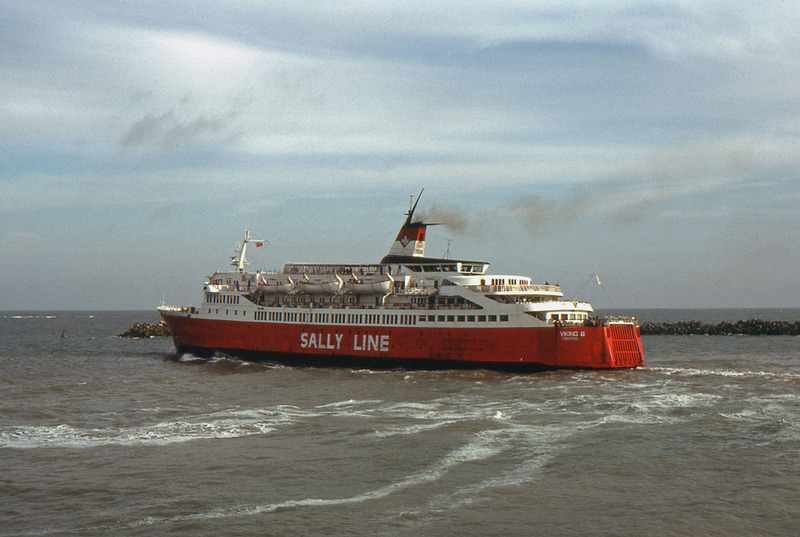 Bareboat chartered to Rederi Ab Sally U.K.
April 1st 1985: Entered service between Ramsgate – Dunkerque retaining her name of SUN EXPRESS. 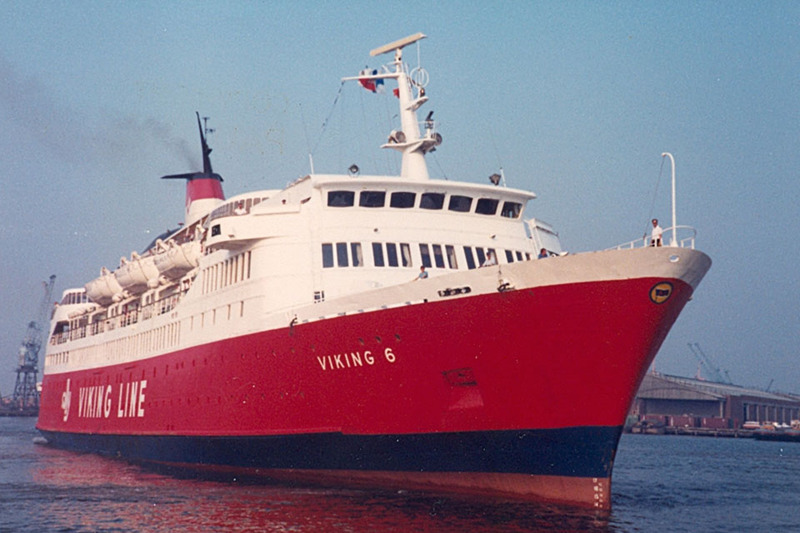 June 1985: Renamed VIKING 6. 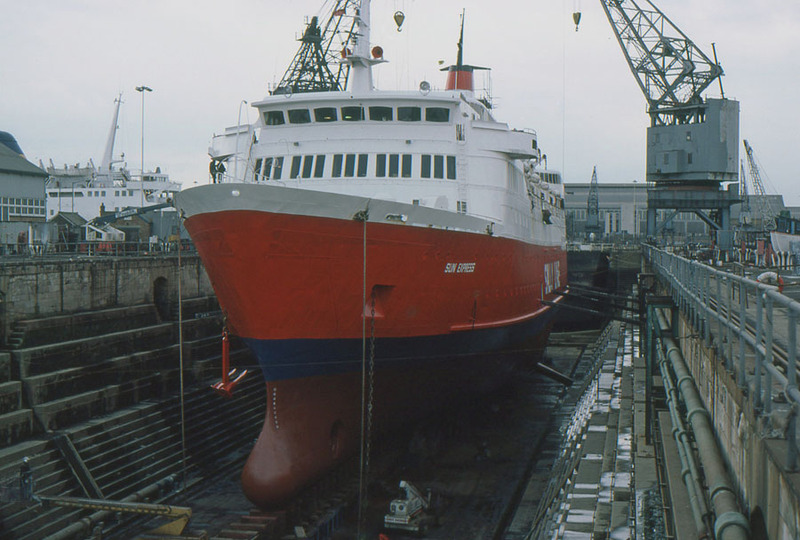 April 25th 1986: Final day in service, partly owing to her car deck lacking height, which made her unsuitable for the larger freight vehicles that were being increasingly used. April 26th 1986: Laid up in Dunkerque. 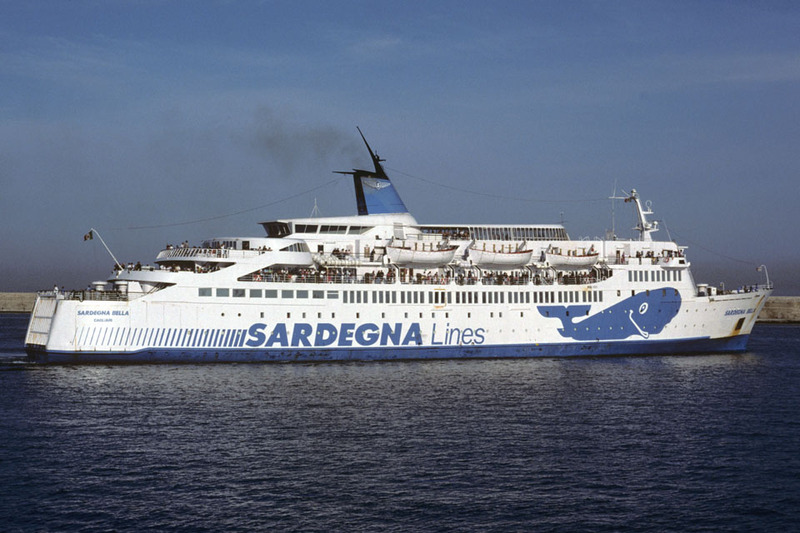 July 1986: Chartered to Ferry Lines, Italy. 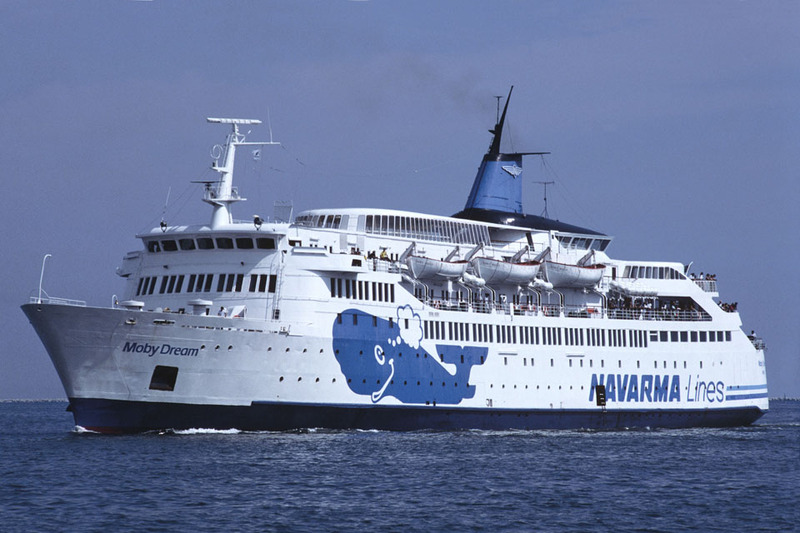 The idea was compete with the Italian state owned company Tirrenia, but the plan failed. 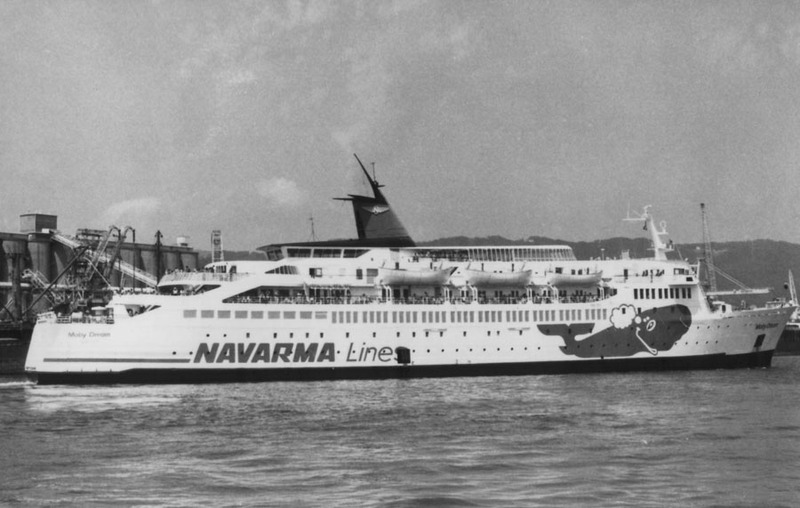 July 22nd 1986: Left Genoa for Valencia and refit. 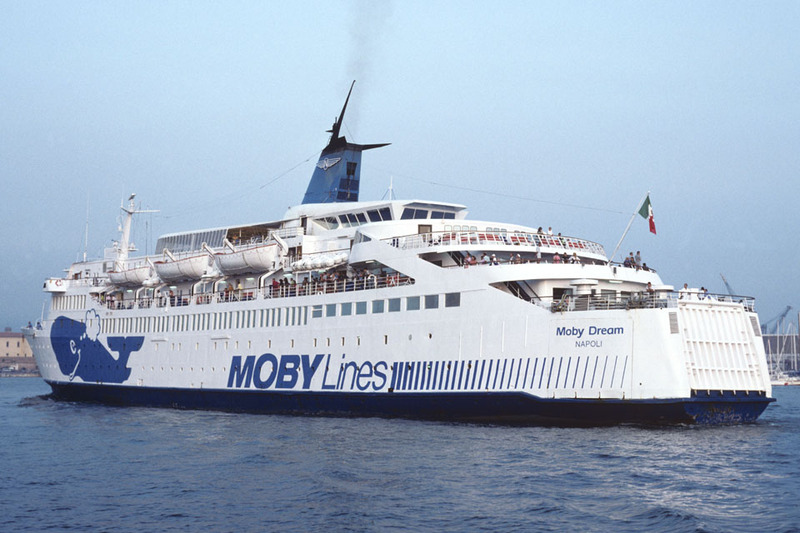 November 1986: Sold to Navigazione Arcipelago Maddalenino Spa, Naples, Italy and renamed MOBY DREAM. 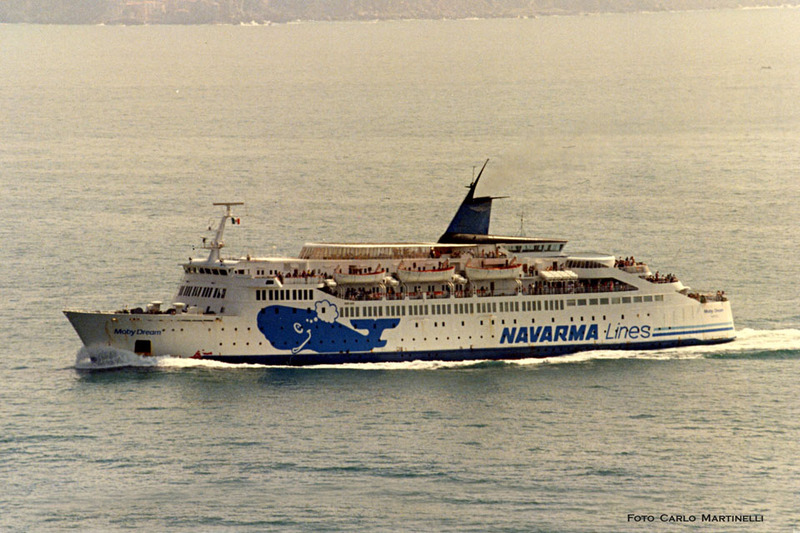 1986: Entered service for Navarma Lines between Spezia – Bastia. 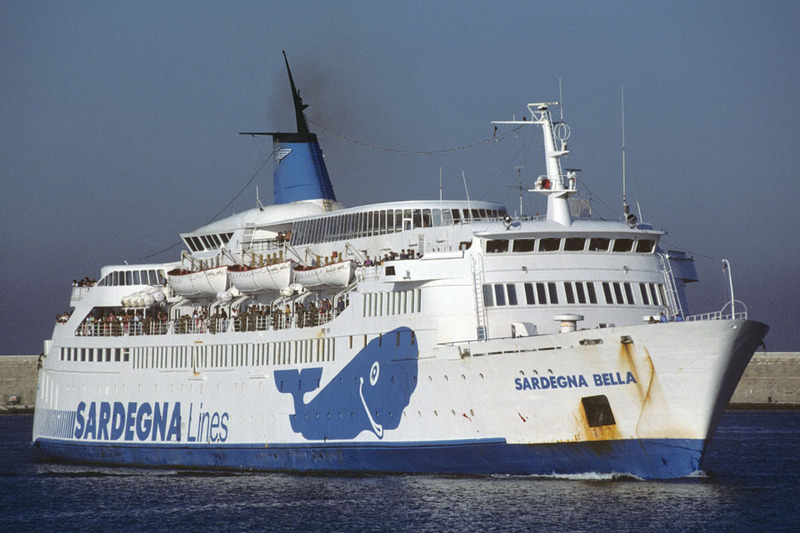 1994: Transferred to Sardegna Lines and renamed SARDEGNA BELLA. 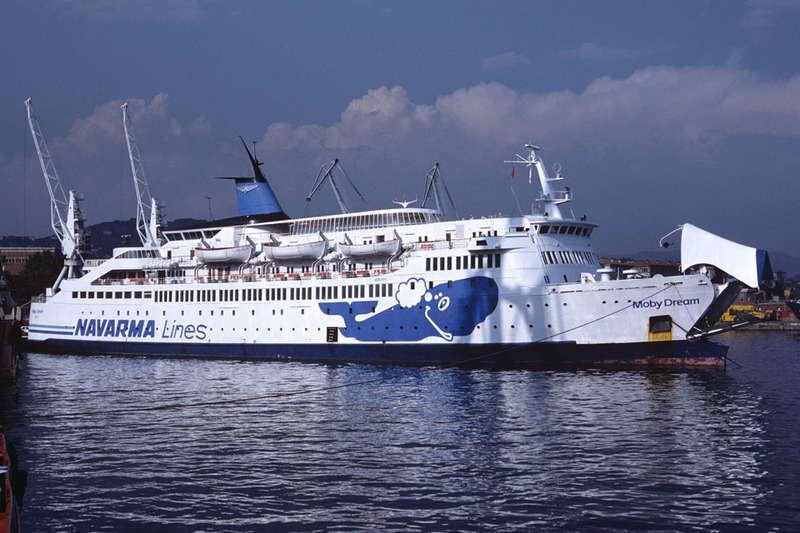 Entered service between Livorno – Olbia. 1998: Suffered major engine failure and laid up in Livorno, Italy. July 4th 2001: Sold for scrap. 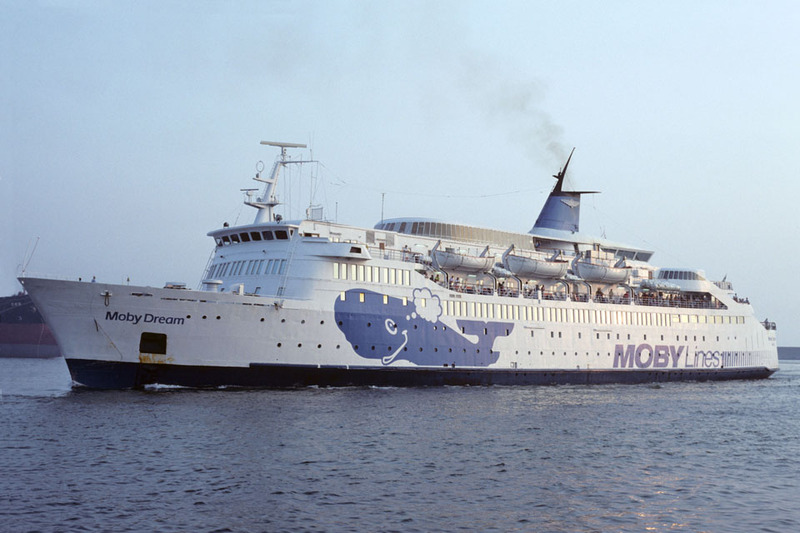 September 2001: Arrived in Turkey, under tow, and scrapping commenced. We would like to thank: Phil English, Tony Garner, Frank Heine, Ted Ingham, Ken Larwood, Carlo Martinelli, Michael Neidig, Tim Webb and Andreas Wörteler for their assistance in producing this feature. All information is believed to be correct and no responsibility is accepted for errors and omissions. A special thanks goes to Paul Wille.